"With a deft hand, Alexis A. Goring conveys the power and beauty of love in her charming story, Love in Pictures. Readers of varied backgrounds and cultures will readily connect with her engaging characters and their search for healing, forgiveness, and acceptance. Goring has written more than a “Will they or won’t they?” romance. Her modern love story will touch the hearts of women looking for something more than a happy ending. And they'll find it within the pages of Love in Pictures!" "Alexis A. Goring has a way of telling the sweetest of stories. Love in Pictures is no exception." "This sweet second-chance story is sure to bring a smile to your lips as it delights your soul." "I enjoyed this sweet story of love, forgiveness, and trusting in God's plan and purpose." 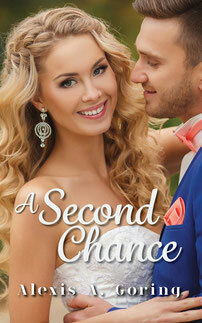 "A Second Chance is an inspirational story filled with a wonderful cast of characters in a novella that could easily lend itself into a series. Hopefully we'll read more from this up and coming author!" "I enjoyed reading about how a relationship can be saved by God's grace when we are willing to forgive. God can turn the greatest heartbreak into the most wonderful love story. Thank you Alexis for sharing how us humans can experience a love made in heaven." 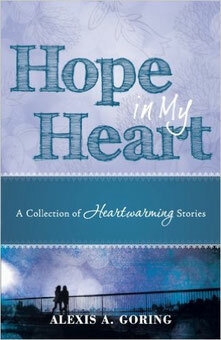 "Hope in My Heart is a delightful read, giving you a quick dose of love and faith. 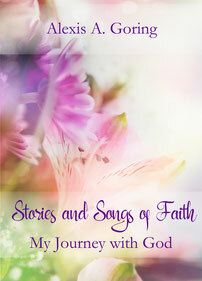 These short, heartwarming stories will renew your passion and hope for finding true love, and revitalize your faith in a loving and caring God."